Meet Kali, Tig, and “E” Hickman: Our Pets of the Month! 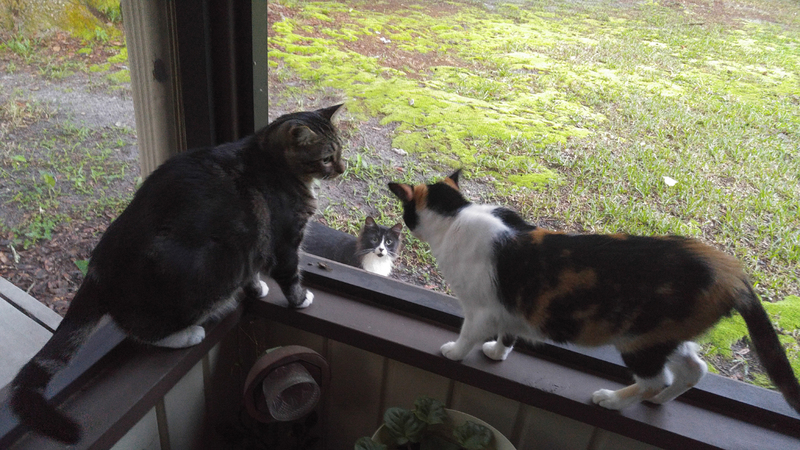 January’s pets of the month are Kali, Tig, and “E” Hickman, Attorney Alison and her husband Mike Hickman’s three cats. 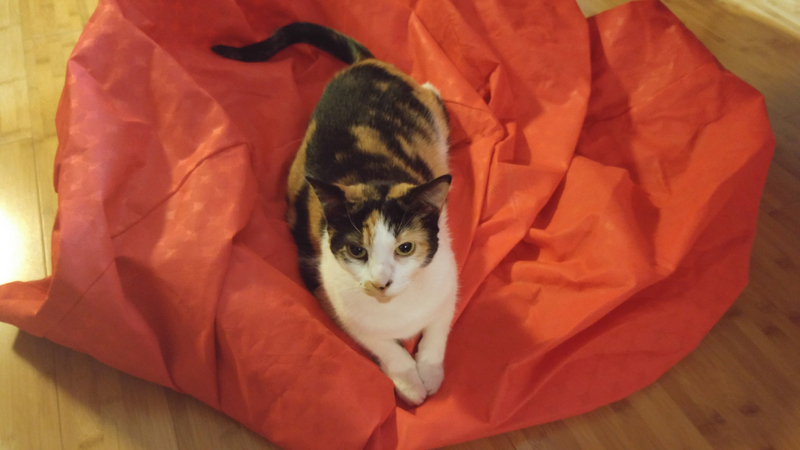 Kali is a female calico that they adopted from the Safe Animal Shelter in 2012 at 7 weeks old. She lives indoors but loves to sit on the porch, look out the windows at birds, and chase bugs and lizards. She is very sweet and playful. Tig is a male tabby born as a feral kitten in Alison and Mike’s garage in early 2012. It took almost two years, but eventually he became friendly and made a permanent move from an outdoor feral cat to a mostly indoor cat. 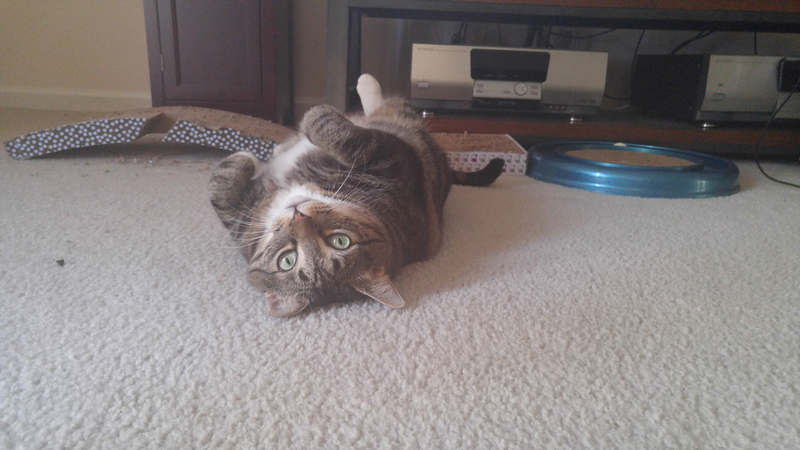 He is plump and very cuddly and his favorite position is laying on his back. “E,” short for “Ears” is a feral outdoor male tuxedo also born in their old neighborhood – he had funny fluffy ears as a kitten, but now he’s fluffy all over! He had to be trapped recently to move with the family to a new house, but loves country life – he has grown tall and strong. He can be petted and held and shows up two to three times a day for a meal, love, and to hang out with his buddy Tig. Alison and Mike love them and get to enjoy their cuddles on a daily basis!